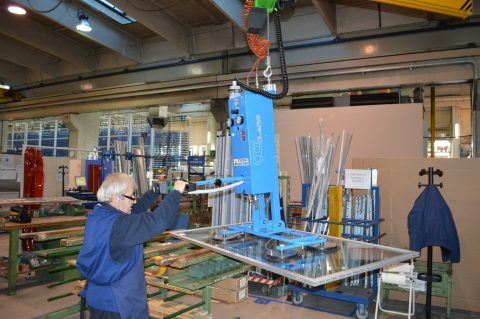 Lifting equipment to handle glass sheets. On request it can be with pneumatic rotation 90° and pneumatic tilting 90° or electric rotation 200° and electric tilting 90°. Independent pneumatic vacuum pump “Venturi” or electric vacuum pump. All the commands are on the manipulator, including up/down of the crane. Loading and unloading is by an electric button on the console. 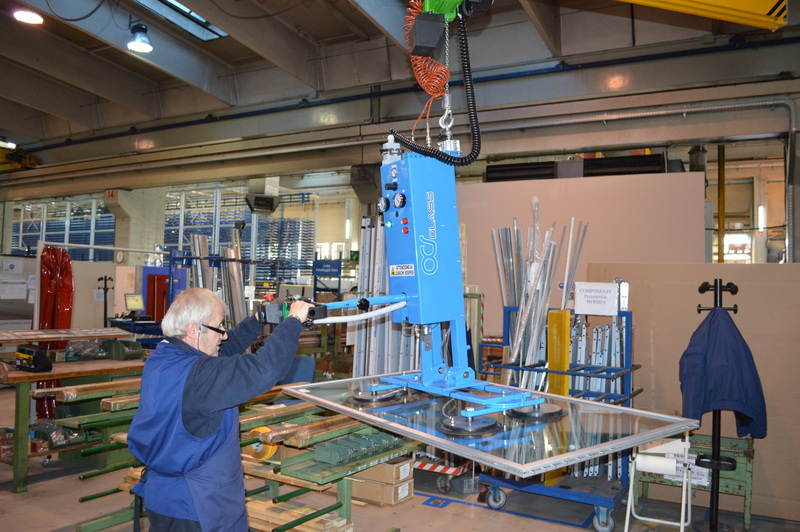 Safety sensor for unloading and for lifting glass.